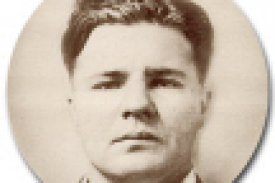 Here for the first time is the complete story of the careers and lives of the four successive Public Enemies Number One who were the most dangerous machinegun toting Midwestern bank robbers of the early Depression years – John Dillinger, Baby Face Nelson, Pretty Boy Floyd, and Alvin Karpis with the Barker Brothers. Besides being complete this presentation is wholly different from previous histories because for the first time the newspaper article accounts of these gangsters’ activities are included. These were written by reporters from interviews of the eyewitnesses at these events, police and detective descriptions of the handling and findings of their investigations, and the trial testimonies of both the criminal cohorts and also the people who harbored these killers during their long fugitive manhunts. These facts were merged with the FBI agents’ internal reports sent to the Washington Headquarters that frequently admitted or confirmed their misconduct, as well as the many other documents used by previous crime historians. All this information combines to present the first complete timeline of these criminals’ actions and personal lives as each fugitive alternated between hiding in a safe haven and staying on the run often just ahead of determined lawmen. Just as a movie is made up of many individual pictures that are flashed one after the other to produce the action, the many individual facts collected about each of these incidents create a dramatic step-by-step flow that produces an incredibly exciting and fast-moving adventure story. 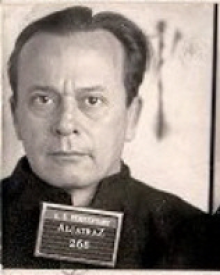 Interspersed throughout these Public Enemies Number One manhunts is the transformation of the Federal Bureau of Investigation (FBI) from an accounting department of government money into a national police and detective agency. This is by far the most penetrating story of how J. Edgar Hoover took this group of politically-appointed accountants and attorneys, who by law could not carry guns or make arrests, and turned them into a full-fledged criminal detective agency. 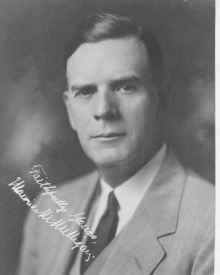 Hoover’s leadership of the FBI has been discredited by numerous previous scholars, but this book goes much further in presenting how poorly-trained the agents were in police and detective procedure, the lack of respect they had for individual liberties and rights, and their total disregard for the safety and well-being of the civilians who unintentionally appeared in their paths. Previous historians have usually described the actions of Hoover’s FBI as like Keystone Cops or repeatedly referred to agents’ actions as “inexplicable.” But Hoover’s agents’ behavior was the direct byproduct of their Director’s leadership and training procedures. After the reader learns the capabilities and values of Hoover’s agents, their actions are neither funny nor baffling but instead very predictable. As each confrontation develops the reader can sense how the situation can go terribly wrong as these courageous but ill-prepared early agents headed into what would likely become another failed raid or else produce disastrous results for the lawmen or innocent civilian bystanders caught up in the lines of fire. The mismatch between the skills of Hoover’s early agents and the killers they went after could not have been more stark. These untrained agents went after the most aggressive and dangerous killers in history. These were not the typical variety of criminal who tries to escape when pursued by the police. Whenever these killers started to feel trapped or pressured, they would turn about face and run on foot out in the open, or whirl their car around as they floored the accelerator, charging their pursuers while blasting away with their machineguns. 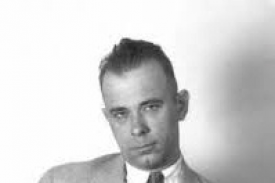 All this aggressive determination made Dillinger, Nelson, Floyd, and Karpis and the Barker brothers dreadfully successful at killing more policemen and FBI agents than any other American outlaws. Not only did each of these gang leaders and a number of their followers successfully escape multiple pursuits, but many also broke out of jail or prison along the way. Against these hard-driving shooters, Hoover’s agents faced repeated failure and disaster. It seems inconceivable any of this could have happened, but every word presented here comes from either the victims, eyewitnesses, local police officials, or the pursuing FBI agents’ official internal reports. Hoover’s mismanagement of the FBI was revealed in major exposés by the nation’s newspapers and magazines from early in his career and after each of his agents’ botched raids and other misdeeds. Not only did other federal and public officials regularly harpoon his actions in the press but some also lampooned his agents’ more ridiculous performances. Hoover’s underhanded, often illegal, tactics against his critics; his occasional fights to survive his malfeasance in office; and his frequent shredding of Americans’ most cherished Constitutional protections and denial of individual liberties are detailed as they occurred in the course of these Public Enemies Number One manhunts. Few Americans today are aware of how Hoover became an unaccountable malevolent fourth branch of the federal government totally outside the brilliantly-conceived checks-and-balances system created by the Founding Fathers to prevent just the type of actions he specialized in during his 48-year tenure. These incredible manhunts cover the first 11 chapters, and then the Kansas City Massacre is solved in Chapter 12. 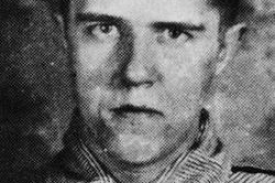 While the public is well aware of the St. Valentine’s Day slaughter of seven gangsters in Chicago, the Kansas City Massacre was the more shocking crime of its time, resulting in the deaths of four lawmen and the wounding of two more. Half of these six victims were FBI agents, and it led Congress to create a national police force by arming agents, giving them the power to arrest, and making it a federal crime to kill a federal agent. 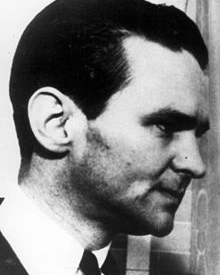 From early in the Kansas City Massacre case, Director J. Edgar Hoover decided that Pretty Boy Floyd and his partner were two of the three shooters, and he made their capture a cause célèbre. Crime historians ever since have argued about exactly who the three killers might have been. The thorough cold-case investigation presented in Chapter 12 not only identifies for the first time who the three shooters actually were but it also finally reveals their motive. It first proves that no one who has been suspected up until now could have been involved. To accomplish this the history of Kansas City’s political structure and Mafia gang organization are presented. Kansas City suffered from the most unique political/criminal power structure in the country. The Mafia leader was the lieutenant to the city’s dominant political kingmaker, and in return for delivering the vote in the Italian neighborhoods, he was given the authority to select the Chief of Police and his detectives. The state legislature tried to stop this affront to justice by having the governor appoint a five-man Police Commission to control the city’s departmental hirings. This action just led Kansas City’s Mafia chieftain to expand his political sphere of influence across the state to elect puppet governors who appointed the Police Commissioners of his choosing. The last four chapters (12 through 15) cover the complete history of the Kansas City political dynasty of the three successive Pendergast family members alongside the five consecutive Mafia leaders who were referred to in the press as “political leaders” rather than gangsters. The crowning achievements of this political/criminal machine was putting Kansas Citian Harry Truman into the U.S. Senate with stuffed ballot boxes and then getting him nominated as Vice President of the United States. The final chapter is a shocking political exposé about the only President in history who sold out to organized crime. The entire chapter concerns Harry Truman’s tenure in the White House, but it strictly covers the many interactions he continued to have with Mafia leader Charles Binaggio. Their mutual political hijinks, antagonisms, and intrigue are staggering. 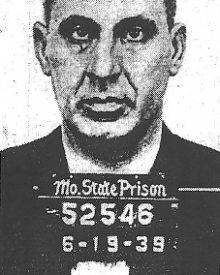 This Kansas City Mafioso headed the First District Democratic Clubhouse on Truman Road, and when he was slain there the nation’s papers carried photos of his body sprawled beneath a five-feet-high enlarged portrait of President Truman. The next day Republicans got up in both the U.S. Senate and the House and directly accused the President of having ordered his hometown political henchman to kill the Mafioso. This whole period in the White House is beyond mind-boggling. All the events in this story tie together one after the other, and some key figures are also linked to the Nevada casino industry where I spent my entire career. This book opens in Nevada when Reno was its largest city, and Bill Graham and Jim McKay where the biggest casino operators both before and after gambling was legalized in 1931. 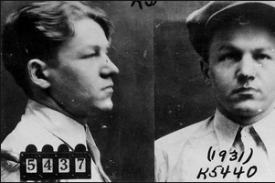 Baby Face Nelson was a doorman and occasional bouncer for this duo before going into bank robbing. Graham and McKay were also the state’s biggest Prohibition violators. In the Golden Hotel, the state’s largest, they operated the most popular casino, and they developed an effective but very illegal tourist-marketing program to bring in high-rollers during the Great Depression. They offered an emporium of services for criminals who used guns to steal money or conned their victims. This drew financial criminals in large numbers from across the country. One service was to hide fugitives on the run in this isolated town protected from police interference. In the weeks to months before the FBI took down Dillinger, Nelson, Floyd, Karpis, and Fred Barker, all enjoyed the safe haven provided by Graham and McKay. This book closes with the career of Kansas City’s fifth Mafia leader, Nick Civella. 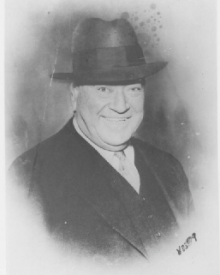 He financed a new wave of hidden underworld casino owners on the Las Vegas Strip through the Teamsters Union Pension Fund, as the original pioneer gangsters, who had earned their initial fortunes during Prohibition and built the Strip, reached retirement age and sold out. In between the beginning and ending of the book, Mafioso Binaggio, who was shot to death under President Truman’s portrait, had planned to become a major investor in the Thunderbird Hotel & Casino on the Strip before Ben Siegel had begun construction of his Fabulous Flamingo gambling resort, but the most unusual of circumstances disrupted Binaggio’s plans. Other links between the Kansas City Mafia and the Nevada casino industry during this era are also presented.